Writing is a hit or miss thing for me. Occasionally I post something I think is kind of interesting or worth a read. But I know where my skills are, which is why my podcasts are the main focus around here. Everything else is somewhat secondary. Because of this I’ve tried to stay away from doing things like album reviews. But I have an exception to make today. 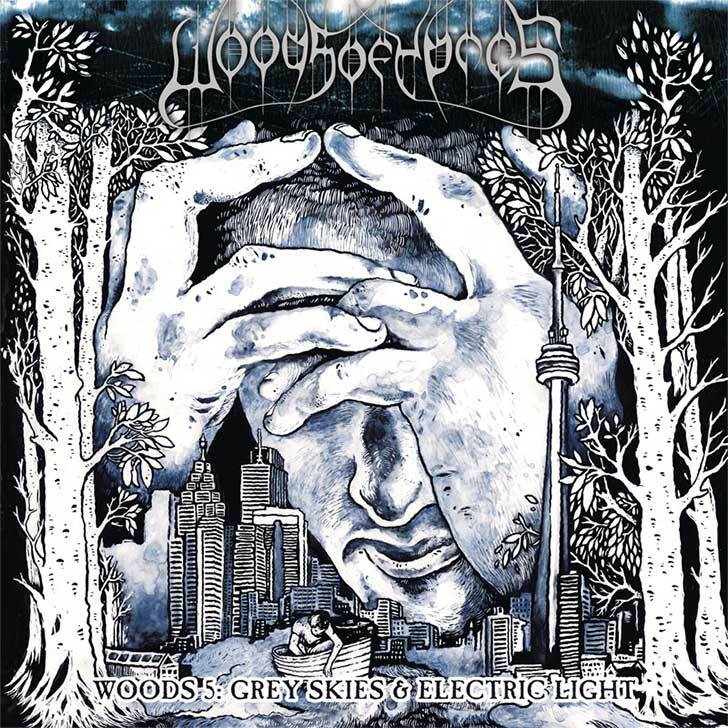 Late December I downloaded a promo copy of the new Woods of Ypres album Woods 5: Grey Skies & Electric Light. Normally I would have been pretty excited about that. But I wasn’t excited at all. David Gold, Woods of Ypres’ vocalist, guitarist and driving force had been killed in an accident near Barrie Ontario. After hearing the news of David’s death, the band’s label tweeted a link to the promo so those who loved his music could hear his now final album. Since downloading the album, it wouldn’t be an exaggeration to say I’ve spent literally days listening to it. Every time I think that I may have finally hit my limit and am ready to give it a rest, I always find myself coming back. There certainly are moments of immediate gratification that you will catch on the first few listens. However, it’s during repeat listens that you realize just how much depth there is to the album. 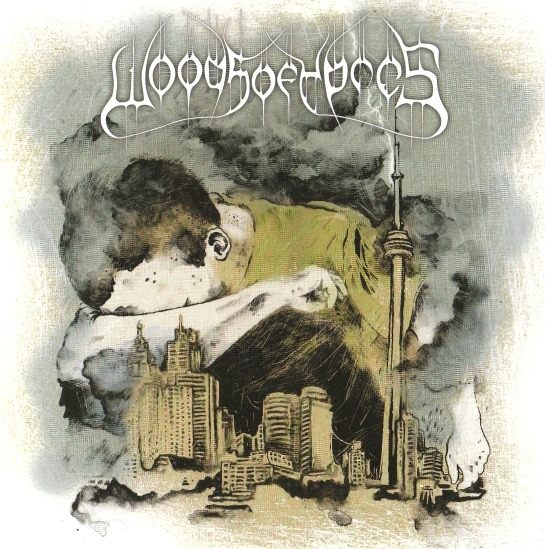 Woods of Ypres’ often have been referred to as a black and doom metal band. However with each release a much broader palate of influences have slowly weaved themselves into the band’s songs. As a result it has become a little harder to paint them into that blackened corner. But even considering all of that I was still really surprised at how different Woods 5 sounded. I knew it wouldn’t be the Green Album – Part 2. But David and his band mate guitarist Joel Violette grabbed the wheel and turned hard with this one. Yet because of that change in direction, the album is a hugely rewarding listen. On many songs there is a prominent sense of melody that had always been there, but now is front and center. Quite often this is driven by piano and cello as much as guitar. Naturally this indicates a sonic shift in the band’s sound and while there are still moments of heaviness, most of the weight is delivered from an emotional level. A large part of that being the themes of loss, sorrow and death in many of the songs that are especially haunting considering the unfortunate events of this past December. Likely the most noticeable change on Woods 5 is the delivery of David’s vocals. In a few instances he turns up the intensity, like on the scathing “Adora Vivos” where he tells us to “Love the living while they’re still alive” and that “we shouldn’t worship the dead”. However for most of the album he favors singing in a low, rich baritone. For fans that are more accustomed to the band’s earlier recordings and black metal leanings, this could be a deal breaker. But most will just see this as simply another example of a great band growing before our eyes. I’ve been passionate about music all my life. There are lots of bands I love. But very few I would consider the discovery of life changing. Discovering Woods of Ypres was life changing for me. Their music didn’t help me through some rough times or connect with me on an emotional level. It simply opened my eyes to something I didn’t know was missing from my life, something that I love listening to and enjoy. Sometimes something that simple can be life changing. If I only ever write one album review on this website, I’m fine with that. Because if you come here and only ever read one, I’d want it to be for Woods 5: Grey Skies & Electric Light. Thanks Lewis. I agree, W5 is an amazing album. That and the Green album are pretty much perfect.